What did we do for Hem 23? Hem 23 was a full design and build for SHELTER. Owner, Tuan Lam wanted a space that reminded him of the alleyways of his hometown in Saigon (Hem means alleyway in Vietnamese). 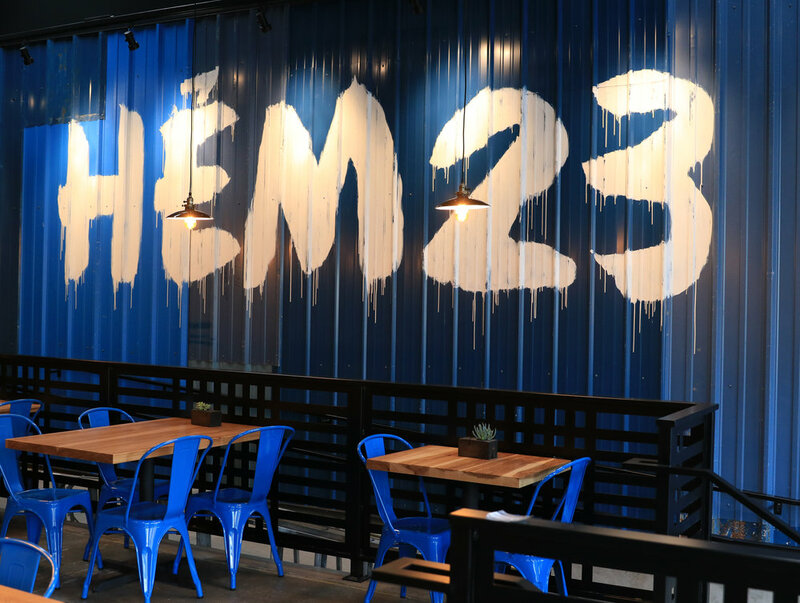 After visiting Vietnam we were able to gain a strong feel for what Hem 23 should encompass. We were able to completely brand the restaurant as well as build out a website and start their social media. We created interior design layouts and renderings and created color and material palettes that you see in the restaurant today. We enjoyed creating completely custom booths, tables, bar stools, bar racks, shelving, art installations on all walls, railing, pretty much everything. Last November we took a work trip to Vietnam with the owner. We traveled the entire country from the north to the south and checked out as many locations as we could fit in during our two week trip. This was a very authentic trip; we were able to visit small remote towns and stay in homes with dirt floors, we stayed in presidential suites in large cities on the coast, we toured Ha Long Bay by boat and we hiked along the high mountain rice fields. It was a very eye opening trip where we were able to gain a true, authentic and raw experience that we used as inspiration for the build out of the space. While traveling around Vietnam you become inundated by the textures, colors and people of the country, the feeling which we wanted to evoke in the space. We call it a tasteful textural overload. The multiple wall textures and tile work that we used throughout the space. 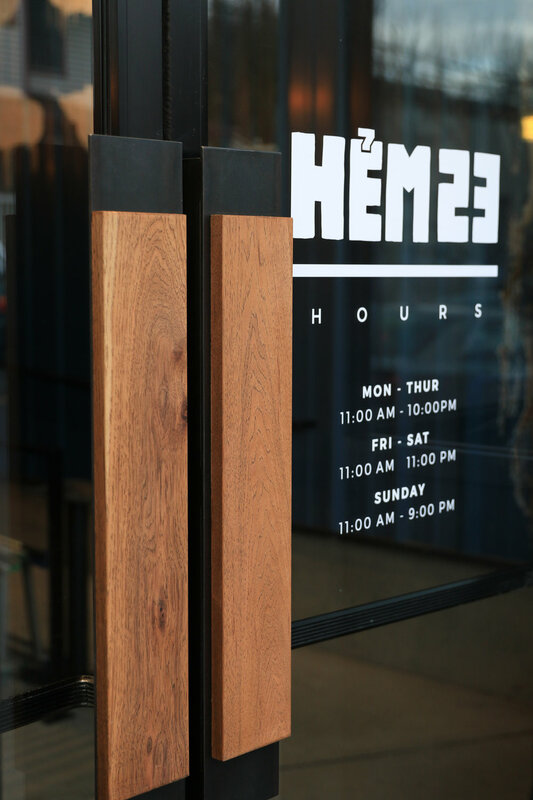 When Does Hem 23 open? The grand opening for Hem 23 is set for January 26th! They will be giving away gift cards to the first 31 guests (1st Guest = $100 | Next 5 Guests $50 | Next 25 Guests $25). Early bird gets the worm.